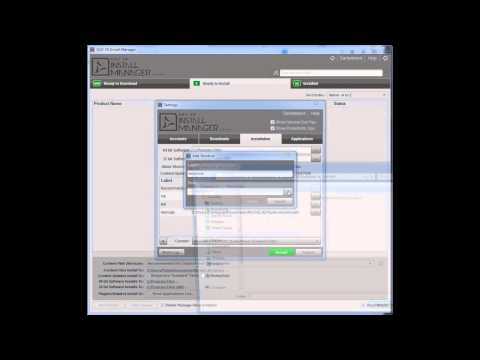 A comprehensive tutorial covering the proper installation of Genesis content for use in Carrara would be a big help. 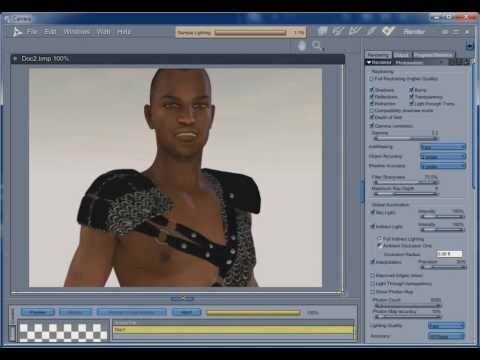 I have installed Poser content for over 10 years and never had any problems getting things working in Poser and Carrara. 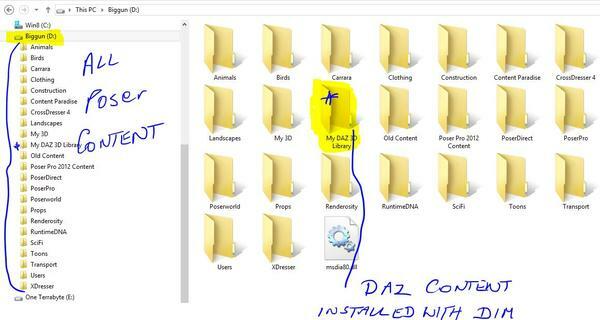 I find the DAZ systems Download Manager and CMS to be confusing. They are supposed to be automatic and simple, yet the components are installed in the wrong destinations, as they do not work properly for me. I tried to uninstall and reinstall everything and it still does not work. 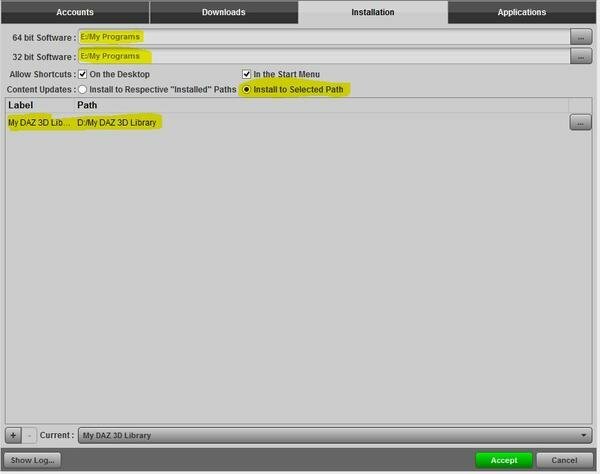 Hopefully this tutorial would start out by describing the correct way to uninstall, or if possible move the currently installed content to the correct places. 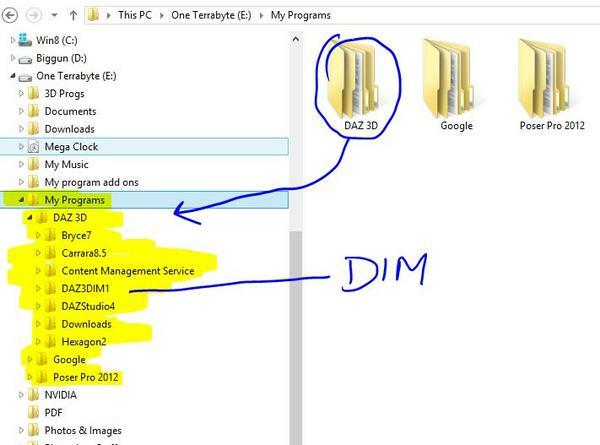 I am not sure what is going wrong, but I believe maybe some files are going to "Documents..." and some are going to 'Users/My Documents..."
Can Genesis work in Carrara WITHOUT using these DAZ systems to install? I thank Dartanbeck for previously trying to help me, but I still have not gotten this issue solved. I know I am missing something or making a big error somewhere in this process, and hopefully someone can help me get this stuff all working correctly. G1 worked BEFORE I reinstalled, but now does not load at all. G2 loads and seems to mostly work, yet some morphs and clothing and other files do not show up in Carrara. There are folders for them, but nothing is within. I bought a bunch of Genesis content, but have gotten no use from it so far. I have spent many hours failing to get this all working and eventually I get frustrated and set it aside. I'll put together what my setup is..
which works flawlessly for me.. This setup works for me flawlessly ( touch wood ) other users may have a different setup which is just as good or better. Then the final steps after Carrara 8.5 is installed is to setup the content for it..
That's how I do it and I don't have any problems.. I can reinstall my OS at any time and get my 3D APPS up to speed in no time.. I totally forgot to thank Stezza for this amazing tutorial! 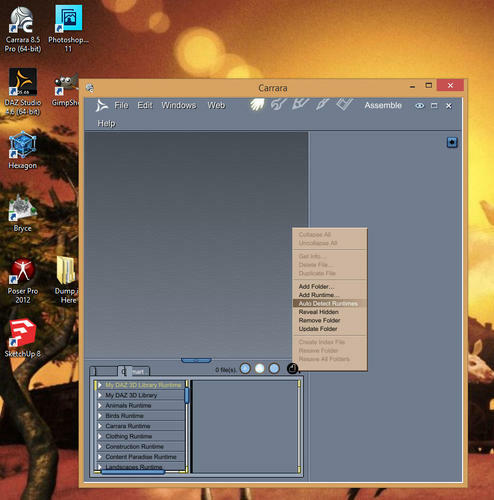 Between this and some help from DAZ Helpdesk I learned to set up Studio and Carrara in a way that works for me. and if i save a character's shader preset in carrara, i like to copy the texture files to the carrara .cbr folder, an external carrara presets folder, like to keep it separate from the native content. Kinda funny/boring/whatever... this is a babble-session when I first decided to switch from installing manually to strictly using DIM. I was recording on the fly and didn't do a lot of editing, so it is like an hour long. But I'm still doing it this way. 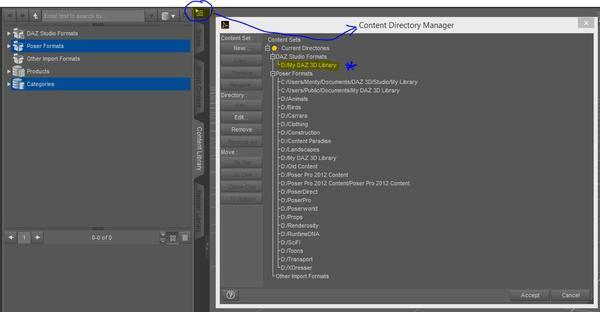 I use the above article for installing my Poser content to my specific Poser Runtime Structures using DIM, and I keep ALL Genesis and other DUF-Only installs in the default DIM location, and it works great. I hope that between all of these comments you can find your way to some wonderful Genesis fun! @Dartanbeck - You have been a tremendous help to me also. I am always on-again-off-again with Carrara. I need to get back into it. I have migrated from Poser to Studio over the past couple of years. I might use Poser 10% of the time, totally prefer Studio, especially because of Iray. If anyone has or knows of a thorough tutorial for exporting an object or figure from Studio to Carrara, making a morph, and re-importing to Studio, I would love to read it. I have had success doing this, but help would be good. 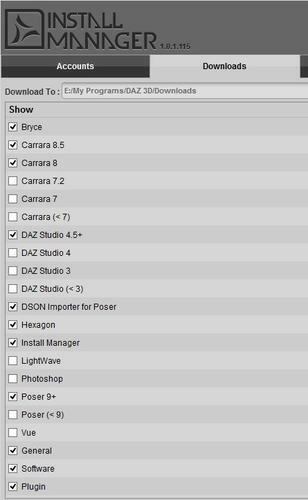 Like to know what settings to use at the various steps, and why. @Dartanbeck - You have been a tremendous help to me also. Thanks! I appreciate your kind words, my friend! Always glad to help! The beautiful thing about Carrara is that we don't need that extra step of exporting from Daz Studio into Carrara, unless we're working on a figure that Carrara doesn't support, like Genesis 3. More on Genesis 3 morphs below. 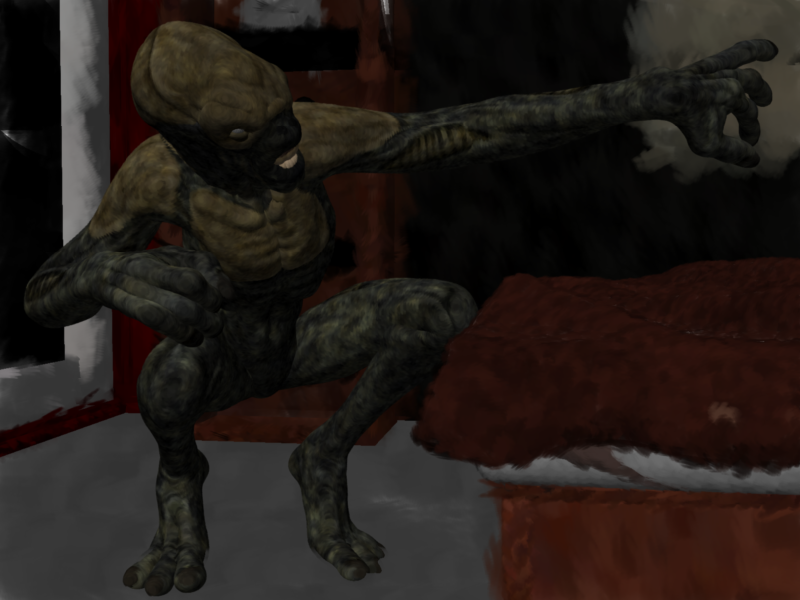 But for Genesis 1 and 2 and earlier figures, like V4, M4, etc., we can open them directly into Carrara, model the new morph upon the base figure (or upon a morphed figure, which requires a subtractive step in DS later in the process) in its default pose, and export from Carrara using the Daz Studio OBJ preset. Then import the new OBJ we've just exported as a Morph onto the Base figure in Daz Studio using Morph Loader Pro, which also contains the abilities to subtract the morphs that may have been applied in order to create the morph. For example, if we wanted to make a specific morph for the Genesis 1 Gorilla, we'd need to dial up the Gorilla morph so we can make our morph. Well, if we don't subtract the Gorilla morph's data from the new morph obj, we'll be multiplying the Gorilla morph onto Genesis. So Morph Loader Pro allows us to remove the Gorilla morph during the morph creation process from the OBJ we've exported. Cool, huh! For Genesis 3, it's just as easy to use Carrara as the morph modeler, except that we do need to export the figure from Daz Studio just like we'd need to do with any figure for any other modeler. 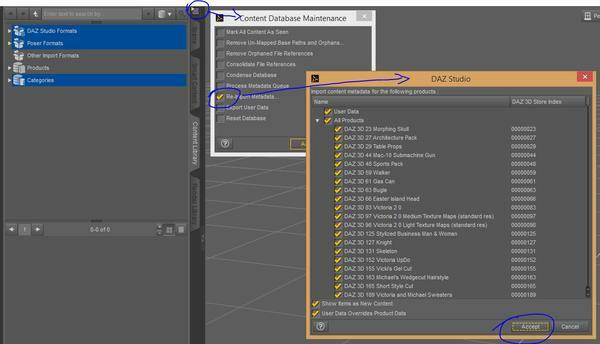 These tutorials are for an earlier version of Daz Studio and for Genesis 1, but the same tools apply now, and have even gotten better along the way. I give you, Mr. Josh Darling! There is now an off-site solution for Genesis 3. The following render is Gigalien for G3M by RawArt with The Exile Alien by Josh Crockett morph added, carrara NPR render. Awesome! So I take it all of our purchased shapes for Genesis 3 will work with those Carrara preset characters? Thanks, that is great help! Hello Dart, I have had no problems with any of the figure morphs, which includes GenX2 converted morphs so far. Some of the clothing does not convert well and will crash Carrara when loaded. So then you just load those clothes into DS and convert to Blended Weights? Is that right? I've never used GenX, so have no clue what any of that means. Both Wendy & Misty have done a video tutorial at the Carrara forum at the other site, both well worth watching.